See the Arbor Day Foundation's work in action. Arbor Day Foundation members and partners are integral to supporting reforestation efforts around the world. In the last 30 years, our members and partners have provided the resources to fund big planting projects in areas of high-need. The trees we’ve planted in the last three decades are restoring watersheds that provide drinking water to millions of Americans, reinstating critical wildlife habitat, sequestering carbon, cleaning the air, and improving life for people in surrounding communities. Trees provide the essentials of life: clean air to breathe, clean water to drink, and a more tolerable climate. But wildfires are burning more intensely and more frequently, pests and disease are becoming all too common, and drought is plaguing many of our nation’s forests. With all the threats our forests face today, now it is important more than ever to restore our forests. 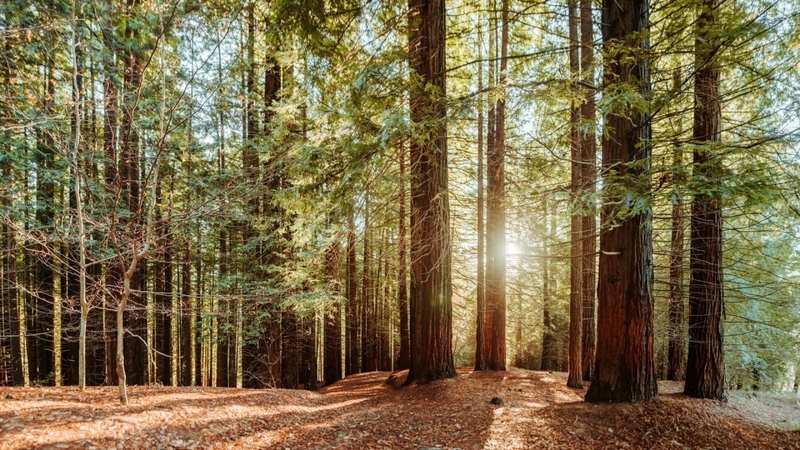 Here’s a look at some of the Arbor Day Foundation’s reforestation projects for 2019. Econfina Creek is nestled in the Florida panhandle and is the primary drinking water source for Bay County and the surrounding areas. In addition to providing drinking water to thousands of residents, Econfina Creek is also home to critical wildlife including bobwhite quail, gopher tortoise, Sherman’s fox squirrel, deer, turkey, and more. We’re partnering with the Northwest Florida Water Management District to plant trees that will help filter pollutants and restore water quality, as well as bring wildlife back to the area. The Willamette River Basin is the largest watershed within the state of Oregon. But decades of poor agricultural practices and land use changes has led to poor water health. Salmon and trout populations have declined because of murky waters. We’re working with several partners including watershed councils, land trusts, state agencies, and local non-profits to plant trees along the Willamette River. These new trees will help filter pollutants and toxic substances, restoring wildlife back to the area and improving water. The Middle Fork River Forest Preserve is made up of more than 1,700 acres of lowlands, grassy meadows, prairie, and hardwood timber. It’s nestled on the Mississippi River Valley—one of North America’s most critical wetland resources. The Mississippi River Valley is home to migratory birds and numerous plant and animal species. The area was once covered in 25 million acres of forestland, but now less than 5 million acres remain forested. We’re working with the Tennessee Wildlife Resources Agency to restore forestland that extends across Middle Fork River Forest Preserve. This tree planting project will restore wildlife habitat, improve farming, sequester carbon, and improve water quality. The Virginia Department of Game and Inland Fisheries maintains 42 management areas that are popular for outdoor adventures including hunting, fishing, hiking, and wildlife viewing. But many of the natural southern yellow pine trees that grow in the wildlife management areas are diminishing, threatening the wildlife in the area. We are partnering with the Virginia Department of Game and Inland Fisheries to replant four different management areas across 280 acres. The goal is to restore southern yellow pine to bring wildlife habitat back to the area. Southern yellow pine forests are unique because they encourage herbaceous plant diversity—this type of forest ecosystem supports species like bobwhite quail, wild turkeys, deer, reptiles/amphibians, red-cockaded woodpeckers, songbirds and other many nongame wildlife species, as well as several species pollinators. Sierra National Forest is one of California’s largest forests, spanning across 1.3 billion acres and five wilderness areas of the Sierra Nevada. The forest is known for its scenic landscapes and thousands of miles of trails. It’s also home to critical watersheds. But this national treasure has experienced its share of devastation. The Aspen Fire in 2013 and the French Fire in 2014 burned thousands of acres of forestland, damaging a critical corridor for the pacific fisher. We are working with the Yosemite/Sequoia Resource Conservation and Development Council and the U.S. Forest Service to plant trees on the upper San Joaquin River Watershed. The trees will help bring wildlife like the fisher back to the area. The rural forest region of Navarre has suffered several wildfire and disease outbreaks in recent years due to drought. The 2017 project will restore black pine, oak, and cedar trees which will increase resiliency and provide work for local foresters. With its 18.4 million hectares, the Spanish forest is the fourth largest forest in Europe. Invaluable in every way, it is highly beneficial to its environment: preserving local biodiversity, filtering water, and preventing soil erosion. However, due to climate change in Europe, the Spanish forest is affected by many scourges: diseases, fires, and storms regularly degrade it and have serious consequences. In Spain, we’re working with Reforest'Action to restore forestland with the challenge of adapting it to climate change and to fight against soil erosion. Visit Replanting Our Forests to see where else we’re replanting.